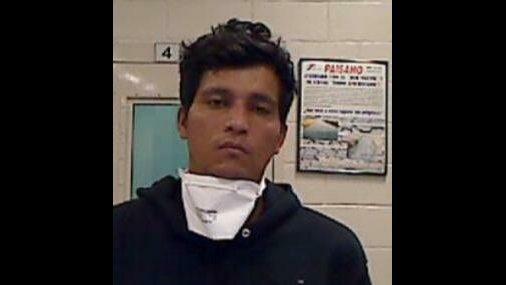 An MS-13 member arrested over the weekend by Customs and Border Protection (CBP) told authorities that he traveled within the Central American migrant caravan before trying to enter the United States, according to Fox News. The man, a 29-year-old Honduran citizen later identified as Jose Villalobos-Jobel, was caught by agents from the El Centro Sector east of the Calexico Port of Entry in southern California on Sunday around 6 p.m. according to the agency. "As President Trump and Secretary Nielsen warned, over the last few weeks we have identified over 600 known criminals and gang members in the caravan," the Department of Homeland Security said in a statement to Fox. "We are now predictably seeing members of the caravan – which includes criminals - show up at the border and claim asylum. These threats are only going to increase in light of illegitimate judicial injunctions and loopholes created by Congress." President Trump claimed in late October that there were "definitely" MS-13 members and terrorists among the caravan. While the caravan has been widely framed in the media as "women and children fleeing violence," NBC's Gadi Schwartz released statistics Monday night while reporting from Tijuana, Mexico where most of the migrants are currently gathered. "The truth is, the majority of the people that are in this caravan, especially outside — if we can make our way all the way over there, we’ll show you the majority of them are men," said Schwartz. "From what we’ve seen, the majority are actually men and some of these men have not articulated that need for asylum."